Adding a tonneau cover to your truck might be the smartest decision you will ever make. A tonneau cover can keep the items stored in your truck bed secure and protected from the elements and theft. You no longer have to worry about having to leave your tools or other valuable items in your truck bed due to the weather, theft or having to transport goods down the interstate at higher speeds! All your items will be safe and secure and you can stop your worries after you have us install a tonneau truck bed cover. Tonneau covers are the perfect accessory to add value, style and peace of mind to your pickup truck. Are you ready to change the look of your car and create a look of distinction unlike any other? Here at Tint King we use the same top of the line products for your head and tail lights that we use on your windows. and will help prevent the hazy, yellow appearance caused by UV radiation. Our products are low maintenance and car wash safe so let us install your new head and tail light tint today and enjoy your bold new style. At Tint King, we sell great looking, high quality auto decals and pinstripes for your favorite car, truck, SUV, boat, RV, etc. 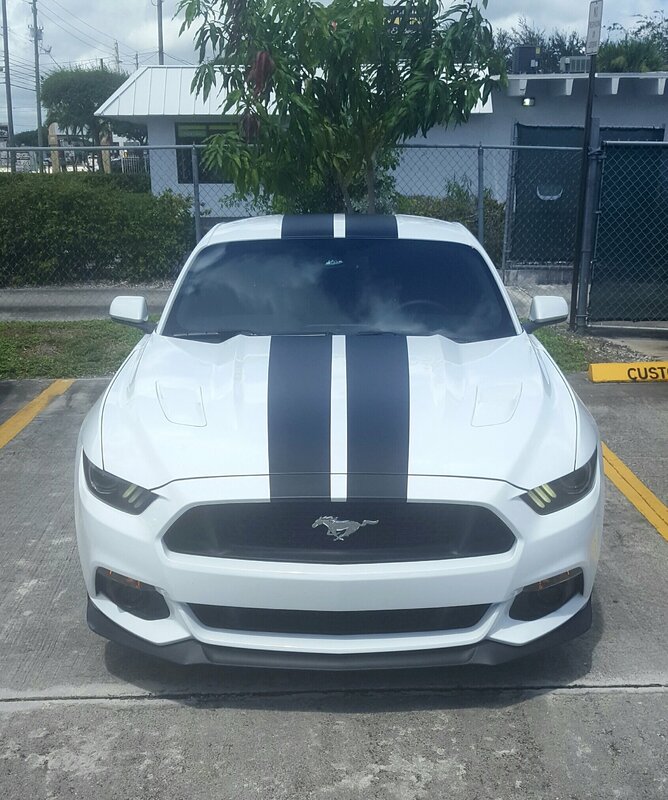 The addition of pinstripes or auto decals can take any car from looking old and boring to looking newer, cleaner and more of an extension of your unique personality. We have everything you need to make your vehicle all your own! Vehicle graphics are an inexpensive way to attract attention to any ride. No matter what you drive, custom decals and vinyl graphics allow you to “Pimp Your Ride” without busting your budget. With an impressive array of auto decals, pinstripes, RV stripes, and boat decals, Tint King is your source for the best and most impressive body modifications! No matter what vehicle you have, you have an opportunity to make your ride all your own. Running boards are typically located at the foot of a trucks door. Their two main functions are to be used as a step, which can be helpful with taller trucks or passengers that are on the shorter side, and protecting vehicles from various road debris. Some of the debris that gets kicked up by the wheels will hit the bottom of the running boards instead of damaging doors and side panels. Another benefit of the running boards is that they keep the interior of the vehicle cleaner as you can wipe/kick off dirt on them before entering the vehicle. Power Running boards are also located at the foot of a trucks door. With the added benefit of lowering automatically when the door is opened and being tucked away when the door closes. They share the main function of being used as a step, which can be helpful with taller trucks or passengers that are on the shorter side. Call our office today for more information on why running boards would make a great addition to your vehicle (561)-684-4621!